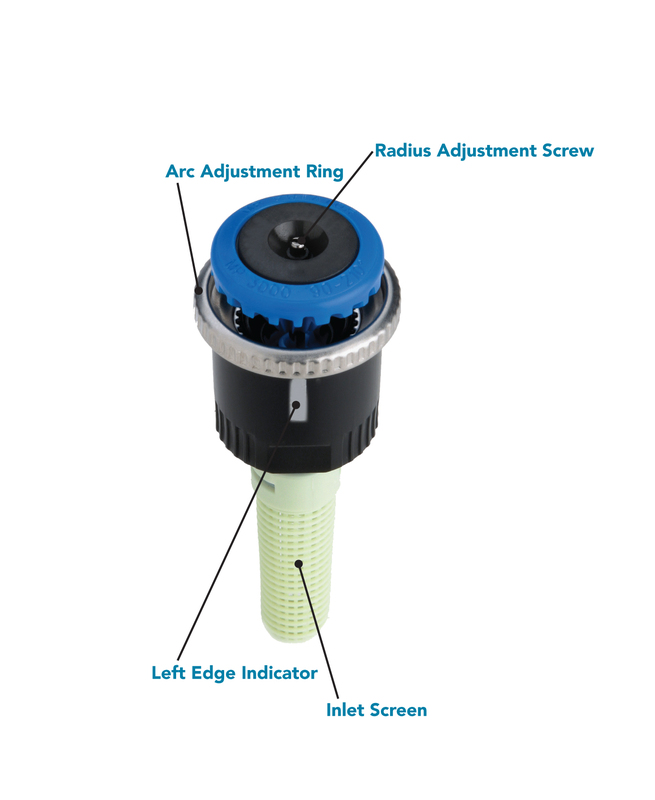 Install the MP Rotator with the Left Edge Indicator pointing to the left side of the desired watering pattern. With the MP Rotator operating and in the pop-up position, rotate the Arc Adjustment Ring. Turning the Arc Adjustment Ring clockwise will increase the arc, counter clockwise will decrease the arc. Note: Radius reduction is intentionally limited by a slip clutch mechanism to ensure reliable rotation. To prevent damage during adjustment, the MP Rotator does not completely shut off like a spray nozzle. To achieve maximum radius reduction with any MP Rotator model use a 30 PSI (2 BAR) regulating spray body. To achieve optimal results, replace all sprinklers on a zone with MP Rotators and adjust the run time accordingly. The precipitation rate of the MP Rotator is much lower than sprays and operating times will be similar to stream rotor zones. 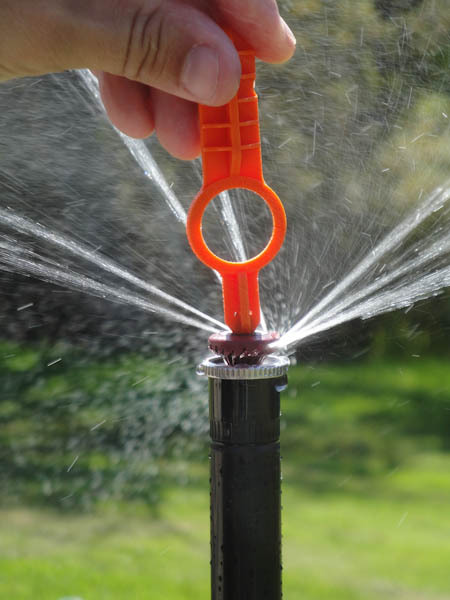 A consistent operating pressure greater than > 55 PSI (3.7 BAR) shortens the life of the sprinkler, increases rotation speed, reduces sprinkler uniformity and voids the trade warranty.